 The Wormhole - 5” Golden Blue Glass Pipe -The Greatest Online Smoke Shop! Immaculate, trippy workmanship and design. 6” long glass bowl from the mouthpiece to the end of the pipe. Features a blue color scheme that is unique and changes styles throughout the pipe. The front of the pipe has a beautiful set of spikes blown in that adds yet another cool and unique element to the pipe. Time warp anyone? This glass pipe is a for sure standout. The glass blowers on this one did an amazing job creating a pipe that is oozing with creativity and a unique style. 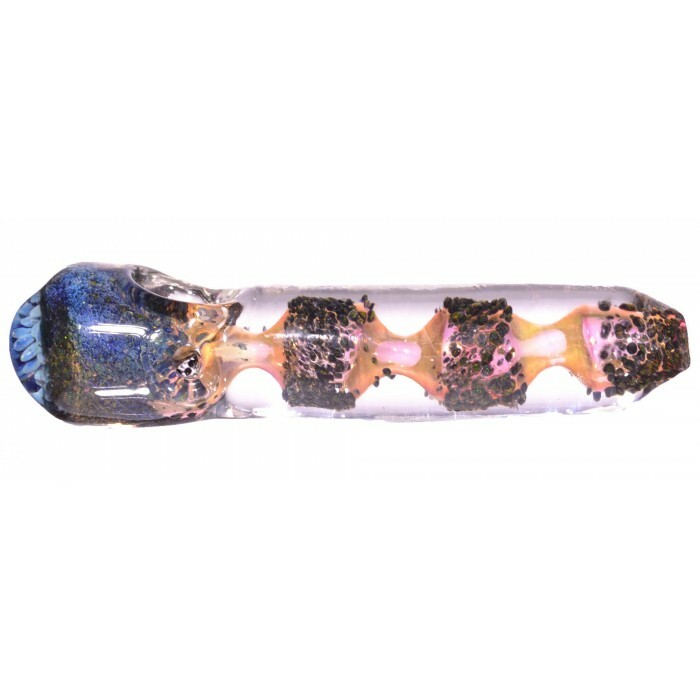 The design they chose for this glass pipe is like a trippy galactic monster, like a wormhole that once you go through will spit you out into a different time and place in the universe. 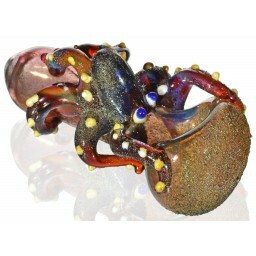 This pipe has a beautiful set of blue and yellow spikes that look out from the end of the bowl. 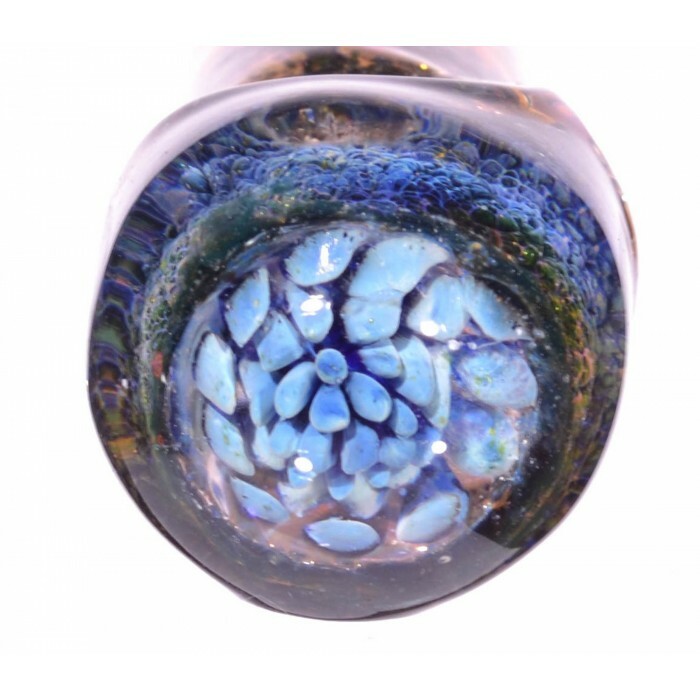 As if that wasn’t enough, the glass blowers added a creative color scheme and design that’s filled with blue bubbles in different clusters. This pipe looks trippy and clean, mixing sharp blue colors with clear glass. It’s a beautiful pipe worth adding to any glass collection.